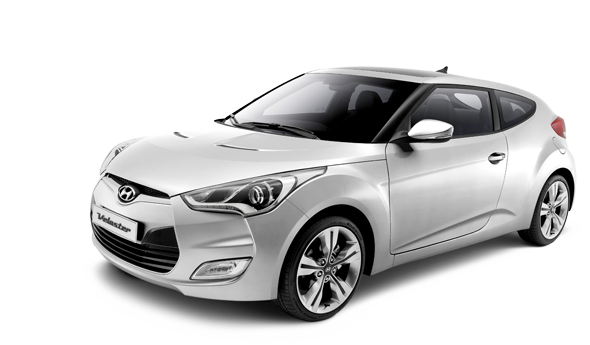 Hyundai Veloster | HYUNDAI - NEW THINKING. NEW POSSIBILITIES. Hereâ€™s a new idea combine the style of a coupe with the functionality of a hatchback. The result? Veloster. A crossover utility vehicle with a unique, innovative presence, itâ€™s where dynamics meets practicality. Staying connected matters. The latest technological devices are no longer at the peripheries of our lives, theyâ€™re at the centre. Which means thereâ€™s no reason you should be without your music and phone calls while on the road. Interior The powerful and robust exterior design continues inside. Every element reinforces a tough sort of cool, from the purposeful centre fascia to the metal-painted details around the centre console, door handles, air vents and gear stick. 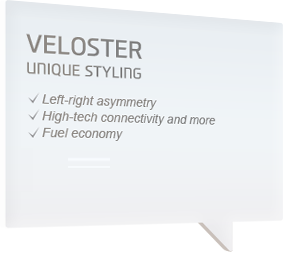 Safety The Velosterâ€™s active safety measures aim to keep you in control at all times. Technologies are deployed when moving, when stationary, when parked on a slope and when travelling over poor road surfaces. Convenience Switches and controls to access the Veloster's convenient multimedia functions are within easy reach on the centre console. A large, 7" LCD displays all the info you need. And with a USB connection, plugging in external devices is easy. Alloy wheels for style oomph To provide an extra edge of sportiness, 18? alloy wheels come in a choice of 6 colour finishes. Silica tyres enhance driving performance and fuel economy. 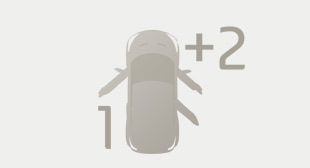 Seat warmers in the driver and passenger seats provide warmth and comfort during cold driving conditions. The Velosterâ€™s engine delivers reduced fuel consumption and frugal emissions, essential properties in our environmentally-conscious world. The engine built from solid aluminium blocks and feature ladder frame construction, for less weight with more strength. 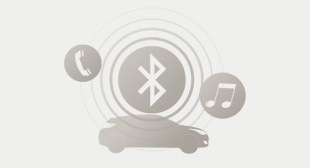 A comprehensive range of noise-reduction techniques counteract the effects of resonation, vibration and harshness, to offer a comfortable, quiet drive. Helping the drive still further is motor driven power steering, providing better steering performance and fuel efficiency, and cutting down on driver fatigue. 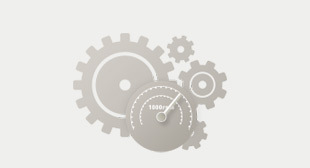 And because itâ€™s just as important to have smooth efficiency at low speeds as well as high, a highly durable, maintenance-free timing chain minimises noise during idling and acceleration. Double Clutch Transmission(DCT) Coupled with a standard six-speed manual or dual clutch transmission, Hyundai's Gamma 1.6 GDi engine delivers extreme fuel efficiency with a whole new sensation of sporty driving experience. The all-new Dual Clutch Transmission(DCT), available as an option, is like a manual transmission that shifts automatically. You can feel and even hear the gear shifting with a great feedback and sound, but certainly there is no shifting hassle. Rear parking assist system Sensors in the rear bumper detect obstacles when reversing, a buzzer sounding when the car gets too close to an object or kerb.